Doing it by hand is very hard and messy. Is there any way to automate this? If so, how do you do it? I had a quick go using Outer Glow. Use the wand to select the left cliff. Copy then paste, which will lift it to a new layer. 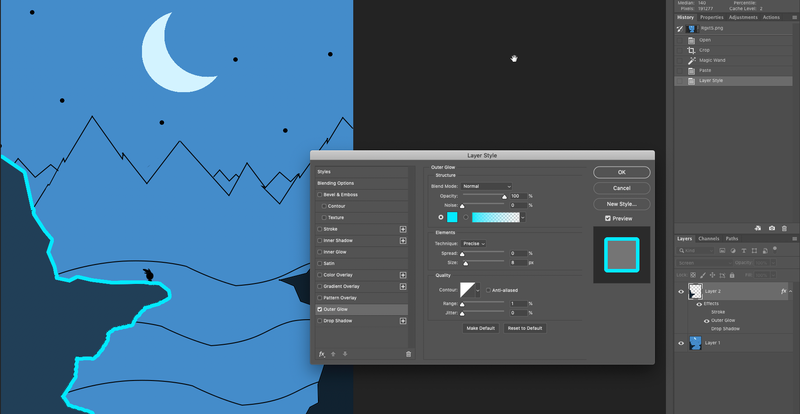 Add a Layer style - Outer Glow with high opacity, zero spread, size as your 'border' thickness, range 1% [& colour bright aqua just to make it very obvious ;) Technique soft or precise ..take your pick, depending on how hard you want the edge to be. Stroke might also be an option, but you'd have to re-mask your outer edges. Not the answer you're looking for? Browse other questions tagged adobe-photoshop brush selections borders or ask your own question. 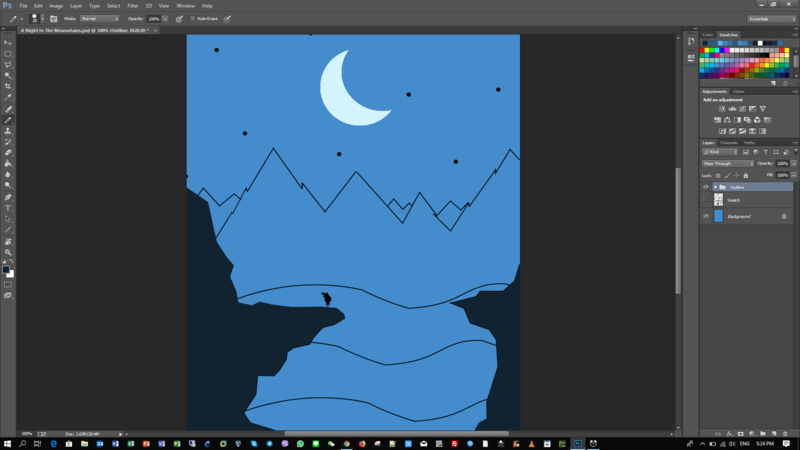 How can I fix the edges of foreground objects pasted onto a new background? How to make a triangular selection in illustrator? How do I contract a selection of all pixels in Photoshop? How to create a triangle/jagged edges on a single border in Adobe Illustrator CS6? How can I change the thickness of a doughnut shape without changing the radius?